The TTP-VARIAC System Total Prosthesis is compatible with the Omega Connector. 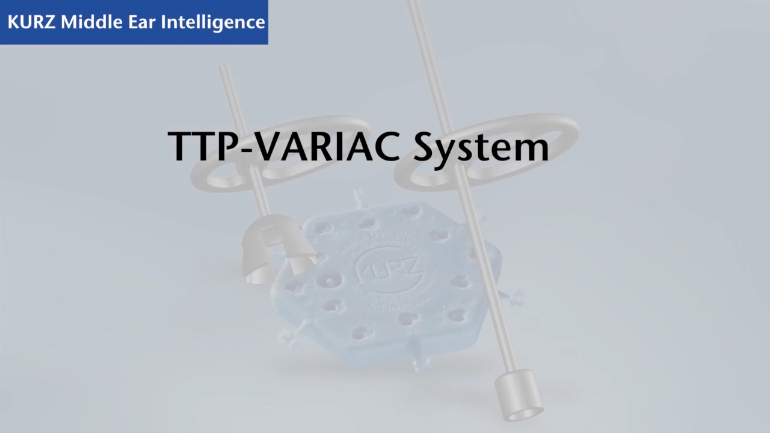 The TTP-VARIAC System provides variability that is unique throughout the world: It is comprised of two adjustable-length titanium prostheses (one Partial, one Total) and the multifunctional ACsizer Disk. 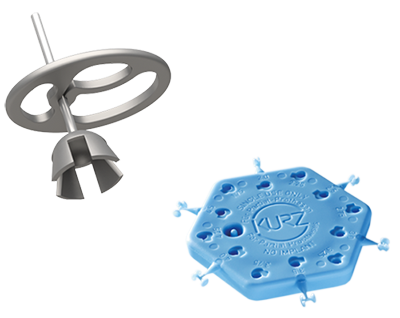 With the aid of different sizes of Sizer attached to the latter the surgeon can determine the required length of prosthesis with precision. 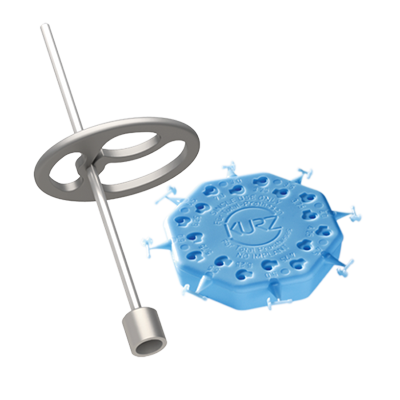 On account of the patented clamping mechanism directly within the head plate the implant can be shortened to a Functional Length of up to 0.75mm and the head plate can be securely fixed to the stem. Developed in close collaboration with Tuebingen University ENT Clinic, Germany. The tension-sensitive annular ligament of the stapes footplate plays a key role in reconstruction of the ossicular chain: If undesirable pretension develops here, it can have a critical effect on postoperative hearing outcome. Short prosthetic solutions as short as 0.75mm Functional Length are available to minimise risk of unintentional tension. Voss, S. E., Nakajima, H. H., Huber, A. M., & Shera, A. C. (2013). Function and Acoustics of the Normal and Diseased Middle Ear. In Puria, S., Fay, R. R. & Popper, A. (Eds). The Middle Ear. Science, Otosurgery, and Technology. Chapter 4. New York, Heidelberg, Dordrecht, London: Springer.